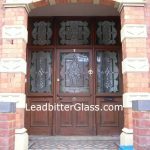 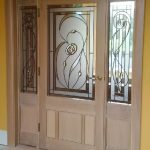 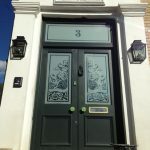 If your 1930s style door has an arched top, we can still create any design to suit your glass shape. 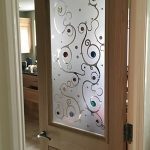 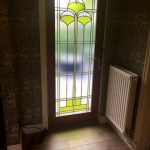 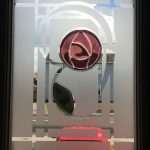 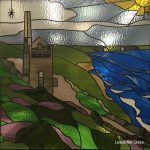 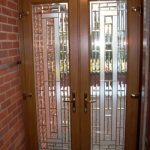 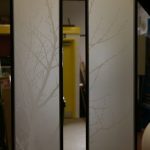 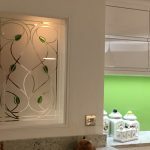 Everything we create is made from scratch so you can also choose and obscure patterned glass to have in your preferred Overlay Stained Glass design. 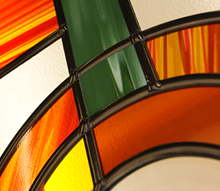 Minster is featured on this page in designs 109, 120, 124 and 127. 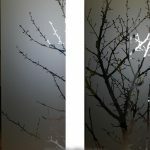 Stippolyte is shown in designs 121, 125 and 126. 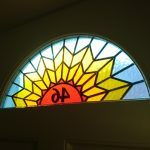 Flemish is displayed here in design number 111.